The historical impact of the early 20th century federal redlining policy continues to hold back many communities of color. For decades, the federal government used a system of color-coded maps to grade neighborhoods for mortgage risk. Red areas were marked the highest risk for loans, which were primarily African-American neighborhoods, meaning residents could not secure financing for homes and wereunable to build equity and accumulate wealth from which many white families and neighborhoods benefited. The impact of redlining continues today. Neighborhoods in North St. Louis continue to show little or no mortgage lending activity. While many neighborhoods in St. Louis have recovered from the financial crisis in 2008 and now have an active mortgage market, neighborhoods north of Delmar have almost zero loans. One of the contributing factors is depressed housing values creating an almost all-cash market, and making it nearly impossible for potential home buyers to finance a home. Depressed home values of surrounding homes guarantees that more buildings will face demolition and ensures homeownership remains out of reach for many families. This is felt when a family tries to purchase and rehab a home but cannot get a loan because the home’s after rehab value is still too low. In the Greater Ville community for example, you may purchase a home for $35,000 and provide an additional $50,000 for rehabilitation. After completing the rehabilitation, the home only appraises for $70,000, far less than the $85,000 needed to purchase and renovate the home. Because of this common appraisal gap, the loan is denied. Consequently, homes in the impacted communities stay vacant and fall further into disrepair, while families lose out on becoming homeowners in their neighborhoods. To overcome the long-lasting effects of redlining and to break this vicious cycle, a coordinated approach to reinvesting in neighborhoods of color is needed. We need to do the opposite of redlining—we need to “greenline” neighborhoods, opening up access to credit for residents to buy homes. Lenders, community organizations, foundations and local governments must work together to create a loan program that fills this need. We’re calling this approach a Greenlining Fund. This fund, modeled after the Detroit Home Mortgage Initiative, would provide loans for qualified community residents to purchase and rehab homes above their appraised value. In Detroit, the program works with partner banks, foundations, local governments, and a community development financial institution (CDFI) to offer loans up to $75,000 over the appraised value to purchase and rehab a home or repair their current home. Participating banks offer the same loan product, which provides homebuyers with consistent terms and rates on quality, affordable mortgages. Since the program’s beginning in 2015, Detroit has seen the number of mortgages increase by more than 25 percent each year. This program has opened up homeownership opportunities to families who have long been denied the ability to invest in their neighborhoods. We believe this program will work in our market. The Greenlining Fund would foster homeownership opportunities for residents and help stabilize neighborhoods. Becoming homeowners would help build household wealth for African-American families historically cut out of home-buying opportunities. Homes that have fallen into disrepair will become habitable, reducing the number of vacant homes and bringing life and vitality to neighborhoods. An influx in home rehab projects will create jobs and bring more investment to North City neighborhoods. New mortgages made through this fund will contribute to restarting the real estate market and increasing housing values, helping to improve our local tax base and contributing to the economic viability of the city. We are already working as a group with the Metropolitan St. Louis CRA (MSLCRA) Association and nonprofit advocates like the St. Louis Equal Housing and Community Reinvestment Alliance (SLEHCRA) to put the pieces for this fund together in St. Louis. In particular, the report “Segregation in St. Louis: Dismantling the Divide,” recently released by the For the Sake of All project team and partners, included the Greenlining Fund as one of its policy recommendations. We call on our partner lenders, nonprofits, and CDFIs to join us. More support is needed from foundations, our government leaders, and from neighbors and community members that want to undo the effects of redlining in their neighborhoods and instead, invest in opportunities for neighborhoods to thrive. Jacqueline Hutchinson is VP of Operations for People’s Community Action Corporation in St. Louis. She is actively involved in policy and advocacy issues that affect low-income consumers in the St. Louis region. 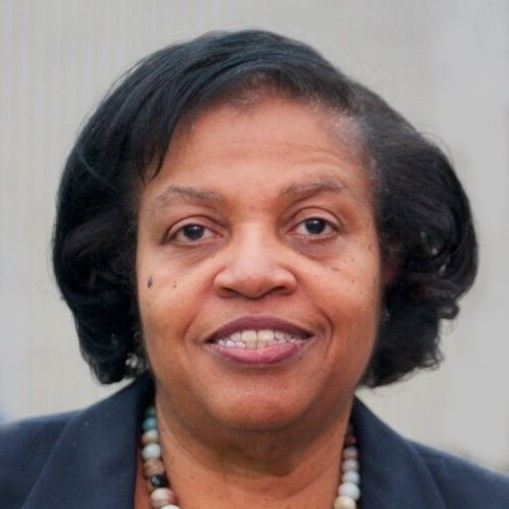 Jackie is Co-Chair of the St. Louis Equal Housing and Community Reinvestment Alliance (SLEHCRA), where she works to increase investment in LMI communities; serves as board chair for Missouri Consumers Council; and is a member of the Unbanked Task Force. She has a Master’s Degree in Policy Analysis from Southern Illinois University and a Bachelor’s Degree in Business from Washington University in St. Louis. Clayton Evans is Senior Vice President of Community Banking and CRA Officer at Reliance Bank. 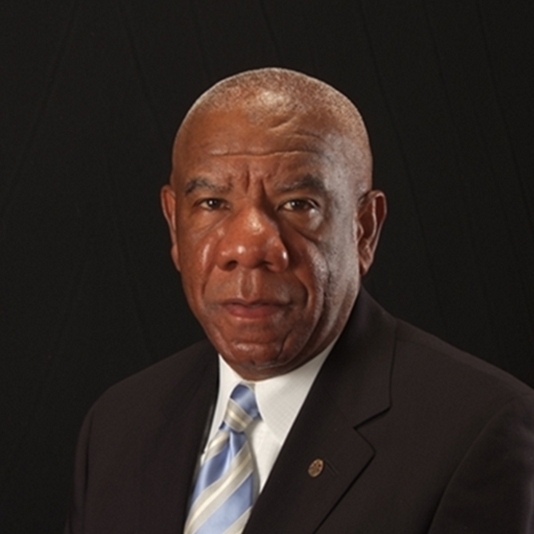 He is also a Board Member of the Metropolitan St. Louis CRA (MSLCRA) Association. MSLCRA was formed to provide a venue allowing banks of all sizes within the St Louis Metropolitan Statistical Area (MSA) to come together in a non-competitive environment to share best practices. This editorial was originally published in The St. Louis American. Better Family Life, Inc.’s renewed strategies for community outreach call to mind an urban legend that continues to haunt North St. Louis. The so-called “Team Four Plan,” many people continue to believe, was a secret development strategy intended to lay waste to majority-black North St. Louis byconcentrating public and private investment in developing the diverse Central Corridor and majority-white South Side. The truth is messier than the legend—this so-called “plan” actually was a mash-up of a development memo (crafted by Team Four Architects), an unrelated map of the city, and two unrelated board bills. None of it was secret, and none of it was enacted into law or policy. However, public and private investment have been focused on developing the diverse Central Corridor and majority-white South Side, and much of majority-black North St. Louis is so disinvested that it does look like it was intentionally laid to waste. It’s a redevelopment strategy sometimes described with the medical term of “triage,” where the incoming wounded are sorted into categories depending on how urgently they need treatment and how likely immediate treatment would save a life. The “Depletion Areas,” in this metaphor, are the parts of the city in need of so much investment to be saved that a perennially cash-strapped city would be better off investing in other areas of the city that are closer to coming back to life. Though Team Four’s memo was not secret—it was submitted as part of the 1975 St. Louis Draft Comprehensive Plan, a public document—and it was never enacted as policy, St. Louis has been developed—and underdeveloped—very much along these lines. And though Team Four did not take racial equity into account when making its proposal (it would take St. Louis almost a half-century and a suburban uprising before it would start taking racial equity into account), the areas that have been depleted are mostly places where mostly black people live, and many black lives have been ruined right along with their neighborhoods. In 1975, when the Team Four memo was written, St. Louis’ population had declined to just over 500,000, a decline of 40 percent since mid-century, and the city’s finances were in shambles. The city’s decline in population and tax base have continued until today, along with a host of other worsening macroeconomic conditions, including departure of company headquarters, loss of high-wage manufacturing jobs, flight of downtown retailers with their sales taxes and accessible jobs, and erosion of outdated housing stock, leaving the city’s “Depletion Areas” more depleted than ever. The city budget submitted last year had to plug a $17 million deficit, due largely to lower-than-expected sales tax and payroll tax collections. James Clark, vice president of community outreach for Better Family Life (BFL), knows this history, he is busy standing it on its head, and he needs help—including from the financial powers that invest in development. Rather than allow “Depletion Areas,” considered in human terms, to go to further ruin while concentrating efforts on people and places that would be easier to save, Clark and his team are going right at the heart of urban decay. The name of the effort—the “Resourcing Ground Zero Initiative”—is well chosen; it could just as well be called the “Resourcing Depletion Areas Initiative.” BFL is canvassing eight of St. Louis’ most challenged neighborhoods, with staff drawn from those neighborhoods, bringing social services directly where they are most needed. They also are fighting the opioid crisis by taking resources right to where drug sales take place in open-air drug markets and have organized conflict de-escalation centers where they intervene between individuals at immediate risk of resorting to gun violence. We commend Clark and the rest of BFL leadership. St. Louis leaders may not have consciously followed a master plan to neglect the neediest areas of our city and let them go to ruin, but that has happened—to disastrous effect. Clark and BFL are now trying exactly the opposite approach. They are diving into the wreck and trying to save those who would appear to be the farthest from salvation. It is incredibly difficult work, and its positive effects may not be immediately evident, but we believe it is a promising approach because it is so different from the approach that has failed and is failing. Clark is calling for the Black Church to join BFL in this work, and clergy and the faithful are desperately needed. Equally needed are the financial powers that neglected these parts of the city and these citizens while focusing development elsewhere. BFL’s outreach efforts have received critical funding from the Missouri Foundation for Health, Civic Progress and the Regional Business Council, but more is needed. Robust macroeconomic growth is what is needed in the St. Louis region, more than anything, including the city, but community outreach into our most desperate and dangerous areas like BFL is attempting can only make St. Louis a safer and more attractive place to live and invest. As Jason Q. Purnell’s landmark study on racial disparities makes it clear, we don’t address the neediest cases merely for their own sake; we do it “For the Sake of All.” We will never have a healthy, safe or equitable St. Louis if we do not remedy the neighborhoods and human beings we left depleted. These remedies will require investment, and it is urgent that these investments be made. I live in the Shaw neighborhood in South St. Louis City. Our area’s diversity is one of the qualities that drew me in five years ago and one of the biggest reasons I’ve felt compelled to stay. Every conversation with a neighbor is a chance to learn something totally new from someone who’s lived a life that’s different from my own. Those who work and volunteer in community building spaces are familiar with the fact that diversity of all types strengthens communities. The ecological world, like the human one, thrives on it. Unfortunately, until recently, St. Louis’ failure to cultivate diversity among our urban street trees has gone largely unnoticed by most. A few months ago, the city began destroying dozens of ash trees all over Shaw. They’re preparing for an inevitable environmental disaster, but knowing the purpose didn’t make the process easier for many of my neighbors. For over a century in St. Louis, we’ve been trading our natural diversity for continuous urban sprawl. A tree’s aesthetic beauty is easy to understand, but many of us don’t realize that the trees outside our homes have immense structural and economic value as well. The more we build out our communities, the more turf grass (with its shallow root systems), concrete, and asphalt we layer into the environment. Our sidewalks, buildings, and parking lots prevent the ground from absorbing water, putting stress on the sewer system. The Metropolitan St. Louis Sewer District (MSD) has a program called MSD Project Clear that’s tackling this issue from several angles. As they work to expand and renovate our aging sewers, MSD is educating homeowners and commercial landowners about the value of trees and native plants and incentivizing them to landscape conscientiously. Project Clear highlights one of a street tree’s most important roles in an urban landscape: its capacity to collect water and absorb it into the soil. Large shade trees like the green ash absorb up to 100 gallons of water after one to two inches of rainfall. A street’s shade trees can also provide energy savings to the structures around them as their leaves block sunlight and heat, reducing the need for air conditioning in the summer. In 2015, St. Louis’ ash trees were confronted with a new threat: the Emerald Ash Borer (EAB), an invasive wood boring insect that targets the entire ash family of trees. It kills every ash tree it infests and currently threatens 15,000 out of the City of St. Louis’ 80,000 street trees. As the population of the EAB grows, it can wipe out all of the ash trees in a region within 3–10 years. With the clock ticking on our 15,000 ash trees’ remaining years of life, and the value of the city’s ash population calculated at $817,000 (you can explore the value of your neighborhood’s trees using this calculator), the City has to decide which trees to save and which to destroy. The EAB population can only be controlled with pesticide treatment of healthy trees and destruction of trees that are less likely to survive. We cannot let infested ash trees die on their own—liability from trees falling on property and people would be enormous—and we have a responsibility to the wider region to reduce EAB numbers as best we can. The City has taken these complex factors into account and has determined it will need to destroy 14,000 of the city’s 15,000 ash street trees in response to the EAB. The plan is a costly one—both literally and emotionally. I saw firsthand the distress and confusion my neighbors felt as contractors cut down the first round of ash trees in my neighborhood this spring. The tiny replacement trees they planted were not much comfort when the shade on some blocks had all but disappeared. But it’s important to remember that these replacement trees, which include dozens of species and should last for half a century or more, are a critical investment in the future. They point to the silver lining of our EAB crisis: it’s giving us an excuse to address our tree diversity problem. The EAB only targets ash trees, so the damage the EAB is able to wreak on our community is directly proportional to the number of ash trees we have in it. Although the City of St. Louis Forestry Division recommends a single species comprise no more than 10% of the city’s trees, 12% are currently green ash. It’s too late for our green ash trees, but we shouldn’t lose sight of the fact that something like the EAB will threaten our community again. Increasing diversity in our street trees will make St. Louis more resilient to disasters like the EAB in the future, just like fostering diversity in our neighborhoods on human and structural levels will produce groups of people with greater capacity to handle the challenges of our daily life in creative and compassionate ways. I want to live in a St. Louis that values and benefits everyone. The destructive impact of the EAB should be a wake-up call: diversity can’t be an afterthought if we want our communities to be strong, safe, and resilient. Adam Bowen is a software engineer and amateur gardener living in St. Louis City. He’s the organizer of the St. Louis chapter of Papers We Love, a meetup focused on notable papers in computer science, and a frequent participant in several tech meetups in the St. Louis area. He also serves as a member of Young Friends of the Ville and Young Friends of Urban Harvest STL. This is a revised version of an op-ed that appeared under the author’s name in the St. Louis Post-Dispatch. It’s been a bad year for houses—the White House, statehouse, House of Representatives, and “House of Cards” have all rotated through the spotlight. But as the nation’s eyes have been fearfully glued to the drama unfolding inthose houses, affordable housing in St. Louis has silently taken even more hits than usual. This month, in response to changes in state discrimination laws, the U.S. Department of Housing and Urban Development followed through on a months-long threat to suspend the state’s participation in federal fair housing programs. This comes on the heels of a Missouri Housing Development Commission decision late last year to not match federal Low-Income Housing Tax Credit (LIHTC) funds, effectively halving the amount of money available to low-income housing developers. These are programs designed to produce quality housing and safeguard equal access to them. The Fair Housing Assistance Program helps state and local agencies investigate, enforce, and promote housing access. The Low-Income Housing Tax Credits (LIHTC) program helps developers build affordable housing in neighborhoods where it’s otherwise unavailable or unfeasible. Under them, federal, state, and local agencies worked together, a tenuous balance that is set to be brutally disrupted. Such changes don’t just affect the market—they pose a serious threat to health and well-being for St. Louis residents. Most immediately, in-home exposures directly impact physical and mental health. Housing costs also affect the ability of individuals and families to manage illness and disease. Healthcare, sick days, and healthy habits are expensive. If housing is expensive, too, cash-strapped families often have to make hard choices. Beyond those effects, though, public health advocates are becoming increasingly aware that health, like real estate, is all about location, location, location. That sticky mantra isn’t narrow obsession. It’s a reflection of how neighborhood conditions can be nearly all-encompassing in influencing health outcomes. Cutting-edge academic programs here in St. Louis are connecting their programs in urban planning and design with public health and social work, but they’re just playing catch-up to every homeowner since the ancient urbanites who first started settling by rivers. Those early city-dwellers knew what the first practitioners of zoning (invented partially to separate houses from factories) knew, which is also what every parent today who buys their home based on school districts knows: Where you live is deeply tied to how you live. That means questions and concerns about fair housing are inherently also about neighborhood access. Do all house-hunters have discrimination-free access to neighborhoods? Are they all shown houses in every neighborhood they can afford? Are they all treated equally when applying for mortgages? The evidence says no. This is a problem, because in St. Louis, place (and race, to which it has been tied by abuse and neglect) is essentially a foundation for what parks, hospitals, schools, and jobs are within reach. All of those eventually affect health—and not just for this week or next week. Research suggests that children of mothers who grew up in underserved neighborhoods are at a disadvantage even if they themselves don’t. One crack in the foundation leads to further instability, which echoes across generations. This is especially important in St. Louis, where in the past year alone, alarms have been sounded over illegal evictions, handicap accessibility, and policies that could jeopardize housing access for victims of domestic violence and the disabled. Just three years ago, reports emerged that housing voucher holders, often people of color, were discriminated against and “steered” toward certain neighborhoods, reinforcing segregation and health disparities. All of this in a city that already ranks in the top 10 for racial segregation and bottom 10 for economic mobility. Despite the initial chaos, opportunities still exist for Missouri to fix its foundation. LIHTC’s opponents say they want to see long-term improvements to its efficiency, but fine-tuning a program doesn’t require the dramatic gesture of entirely pulling state funding and crippling the program. Let’s put together a plan for reform, and let’s do it through an honest, open process that won’t sacrifice important, necessary work already being done. Furthermore, revisions to our state discrimination laws that restore harmony with federal laws need to be made by May 15 (the federal government’s deadline, three days before the end of the legislative session) so that fair housing funds can flow again. With those plans and changes in place, state and local agencies can get back to work providing and protecting fair housing—and families across the state can start building their own healthy lives and happy homes on that foundation. Samuel Yang, MPH is a Research Assistant at Washington University in St. Louis and a resident of South City St. Louis.